Captured Luftwaffe and Japanese aircraft from World War II make great modeling subjects. Photos taken by Allied cameramen provide unique insights into often elusive original colour schemes and markings, while for the more adventurous modeler, aircraft which were repainted by their captors – often quite flamboyantly – offer colourful alternatives to more run-of-the-mill camouflaged machines. And previously unseen photos of these aircraft keep surfacing, nearly 70 years after the end of the war, providing modelers with a wide range of subjects from which to choose. Such photos are the subject of a new book by Swiss author Roger S. Gaemperle – “Captured Eagles: German WWII Aircraft captured by the Allies, Volume 1”. Mr Gaemperle’s book is the first release from his new publishing company, Vintage Eagle Publishing, which according to Mr Gaemperle will focus on “high quality photo books with previously unpublished photos of WWII aircraft”. 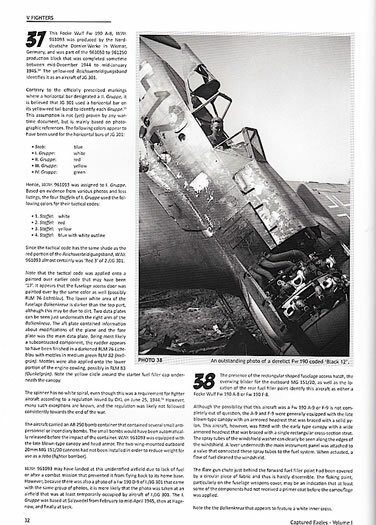 “Captured Eagles” certainly meets this criteria, managing to cram more than 90 photos of captured German aircraft into its 72 pages, along with detailed explanations of each photo, colour profiles of selected aircraft, and a comprehensive appendix of sources. The aircraft featured are fascinating. Most were found abandoned or derelict by the Western Allies as they advanced across Europe in 1944-45, and – after obligatory trophy and presumably intelligence photographs were taken – appear to have been pushed into dumps and destroyed. 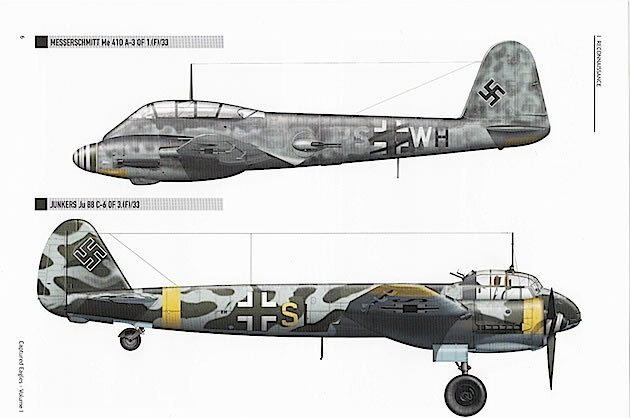 This fate eventually befell even those aircraft which received a new lease on life as Allied hacks, such as the Bf 110 C-5 which belly-landed in England in 1940 and spent the rest of the war flying in RAF colours, and the Bf 109 K-4 which received hastily (and very badly) painted US stars and bars on its fuselage and wings. 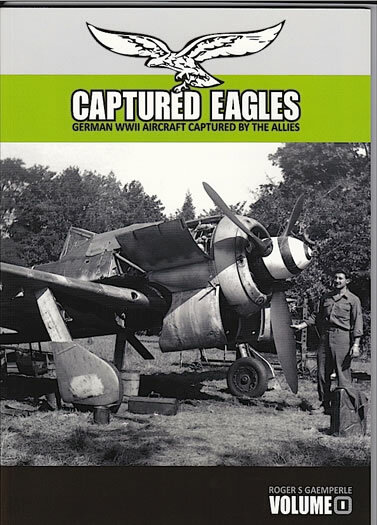 “Captured Eagles” is a great start for Vintage Eagle, whose future releases will include books on tanks and other vehicles – as well as, hopefully, at least one more volume on captured German aircraft. It is impossible to look through this book and not start re-evaluating the schemes you are thinking of applying to those kits in the stash. I know that I am – anyone for a Ju 188 D-2 with pale stripes and RAF markings? Highly recommended.